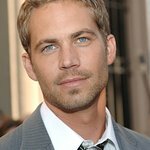 The public knew Paul Walker best for his roles as an actor: The Fast and the Furious series, Into the Blue, Eight Below and Pleasantville, among others. The Monterey Bay Aquarium knew him better as an aspiring marine biologist and a lifelong friend of the ocean. Growing up, Paul was inspired by Jacques Cousteau – his mentor and role model. 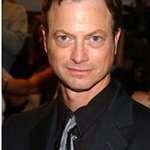 He studied marine biology in college and planned to make that his career before he was drawn into acting. But the ocean was never far from his life – or his concerns. Now the aquarium, in collaboration with Walker’s family, will honor his memory and continue his legacy through the Paul Walker Ocean Leadership Award – recognizing individuals who are using their public stature to advance ocean causes and support philanthropic ventures. The inaugural recipients – actress and supermodel Marisa Miller, and singer Jack Johnson – will receive their awards in June. Miller will be honored in a public presentation on Saturday, June 7 during the aquarium’s World Oceans Day weekend celebration. Johnson will receive his award at the aquarium on Saturday, June 14 during a special 30th anniversary event supporting the aquarium’s Children’s Education Fund. Paul Walker’s daughter and brothers will participate in the presentations. Marisa Miller is an actress, supermodel, a surfer and Monterey Bay area resident who has been inspired by the aquarium’s work since she was a schoolgirl. Today, as a young mother, she actively promotes an ocean-friendly lifestyle – one that eliminates single-use plastic water bottles, and incorporates sustainable seafood choices, as well as organic foods and natural personal care products that keep pollutants out of the ocean. In addition to her philanthropic work with the American Cancer Society and the USO, she has been associated with Surfrider Foundation, which works on behalf of healthy oceans. Jack Johnson is an acclaimed singer-songwriter, surfer and filmmaker. The Hawaii native and his wife, Kim, have been effecting change worldwide by leading the music industry in greening practices and using their success to support many social and environmental issues. Their Johnson Ohana Charitable Foundation supports environmental initiatives, art and music education worldwide – including the aquarium’s Ocean Plastic Pollution Summit, where teachers find new ways to engage their students around the issue of plastics and ocean health. A graduate of the University of California-Santa Barbara, Johnson has released multiple platinum-selling albums on Brushfire Records, including Brushfire Fairytales, Sleep Through the Static and To the Sea. “The Monterey Bay Aquarium is a special place for our family,” said Jack Johnson. I appreciate the energy they put into educating the public on sustainable seafood, marine debris, and the overall health of our oceans. I’m honored to be working with them and to be receiving the Paul Walker Award." At the June 7 World Oceans Day celebration, the aquarium will also present a youth award to 17-year-old high school student Ailis Dooner of Carmel, who took second in the world at the International Science Fair for researching a way to prevent lung cancer using substances found in sea anemones and seaweed. Ailis is a Teen Conservation Leader at the aquarium. The nonprofit Monterey Bay Aquarium celebrates its 30th anniversary in 2014. Its mission is to inspire conservation of the oceans.